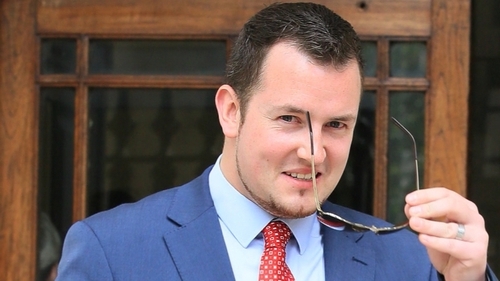 A Wicklow man alleged to be an administrator of the Silk Road website, which dealt with illegal drugs and hacking software, has been taken into custody ahead of his extradition to the United States. Gary Davis, 28, of Johnstown Court, Kilpedder, Co Wicklow, is wanted by US authorities to face trial on charges of conspiracy to distribute narcotics, conspiracy to commit computer hacking and conspiracy to commit money laundering. If convicted in the US Mr Davis could receive a life sentence. His extradition was ordered by the High Court last August. He appealed the decision which was dismissed by the three-judge Court of Appeal today. Mr Davis had opposed his extradition on grounds that he suffers from both a form of autism known as Asperger's Syndrome and depression. Among his points of objection were that if he is extradited he will be detained in an inhumane and degrading manner. Counsel for Mr Davis, John O'Kelly SC, told the Court of Appeal that people with severe Aspergers were "very heavily" reliant on family support and on their world remaining pretty much the same but Mr Davis would be "totally torn" from his roots and isolated from his family, were he to be extradited. Mr O'Kelly said his client would require a system of care so individualised to him that it simply was not available in the US prison system. He said statements from US prison authorities about their system were "aspirational" and accorded more with the policies of the Federal Bureau of Prisons rather than the reality. Dismissing his appeal today, Mr Justice Alan Mahon said the Court of Appeal was being invited to reach a different conclusion on the same evidence that was before the High Court. He said he agreed with the Attorney General that an appeal could only be brought on a point of law. Mr Justice Mahon said he wished to emphasis that he in no way diminished or trivialised the very real concerns of Mr Davis' family in the face of being extradited. Mr Justice George Birmingham and Mr Justice John Edwards said he agreed with Mr Justice Mahon's judgment.